Kitchen styling in today’s modern world is often about being sleek and contemporary, as designer kitchens become a more and more popular choice in British homes. A key part of any designer kitchen is a designer kitchen tap to work in harmony with all contemporary settings. 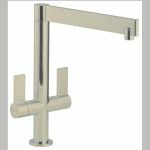 We have a selection of designer kitchen taps from top manufacturers Carron Phoenix and San Marco, with something to suit all designer tastes. 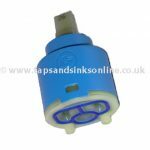 As with everything we supply, all our designer kitchen taps are on sale at the guaranteed best price in the UK, and all come with a full no-quibble guarantee. 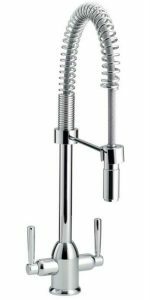 Designer kitchen taps need to be beautiful as well as functional, to stand out in your home while at the same time integrating seamlessly with the kitchen design. 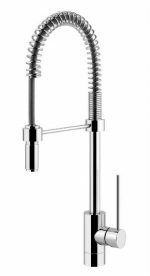 We have put together a designer kitchen taps collection that offers modern and stylish taps in modern shapes with clean lines, while at the same time guaranteeing complete functionality for British homes. 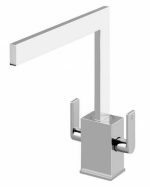 Popular choices from our designer kitchen taps range include the San Marco Blade. 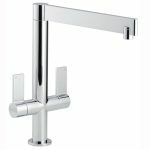 Its cutting-edge slimline spout and handles combine for a minimalist look that will give maximum satisfaction. 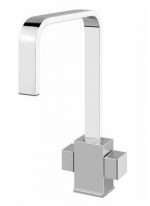 Another top-selling designer kitchen tap is the San Marco Quinter, with its contemporary twist on a traditional design, as there are cubic hot and cold taps rather than levers or capstans. It’s ideal for any modern kitchen of straight edges and sharp right angles. 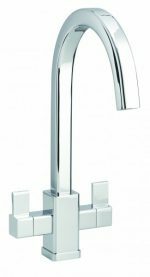 Carron Phoenix options from our designer kitchen taps range include the Dante Pro, a great choice for the ‘professional-style’ domestic kitchen thanks to its extra tall spout and generous reach. 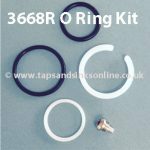 Whatever your choice from our collection of designer kitchen taps, you can be sure of buying it at the best price in the UK when you order with us, and you can also be sure of a full guarantee of up to five years. 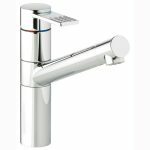 Browse our range of designer kitchen taps and place your order today to beautify your home and to save money too!